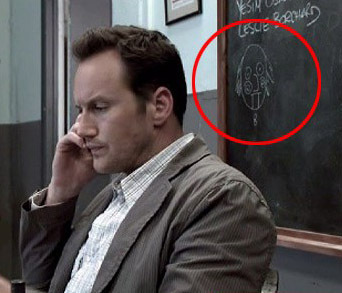 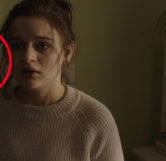 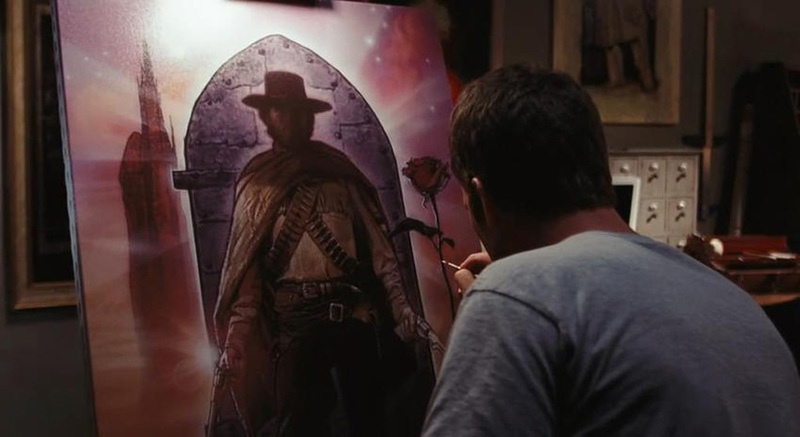 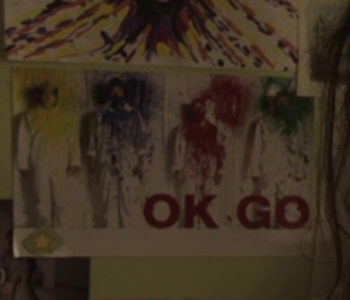 Throughout the movie, when Clare is seen living in her original house, on the walls of her room are a number of different artworks, with most being paintings by Clare herself. 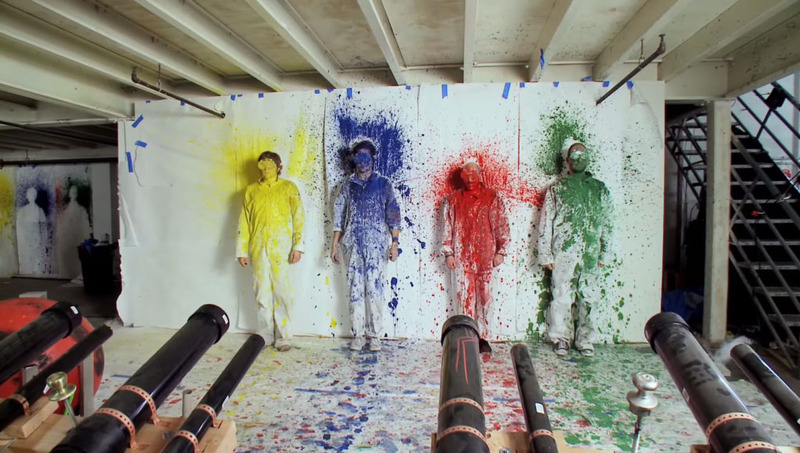 If you look closer however, fans of the American rock band, OK Go may recognize a familiar scene buried among the paintings. 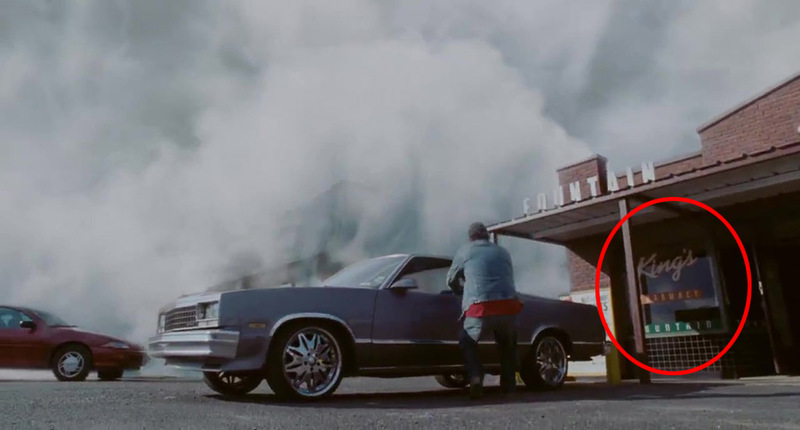 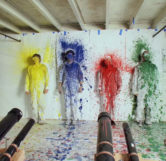 For their third album, “Of the Blue Colour of the Sky” which released in 2010, OK Go made a music video for the single, “This Too Shall Pass” where at the end the band gets shot in the face with paint cannons. 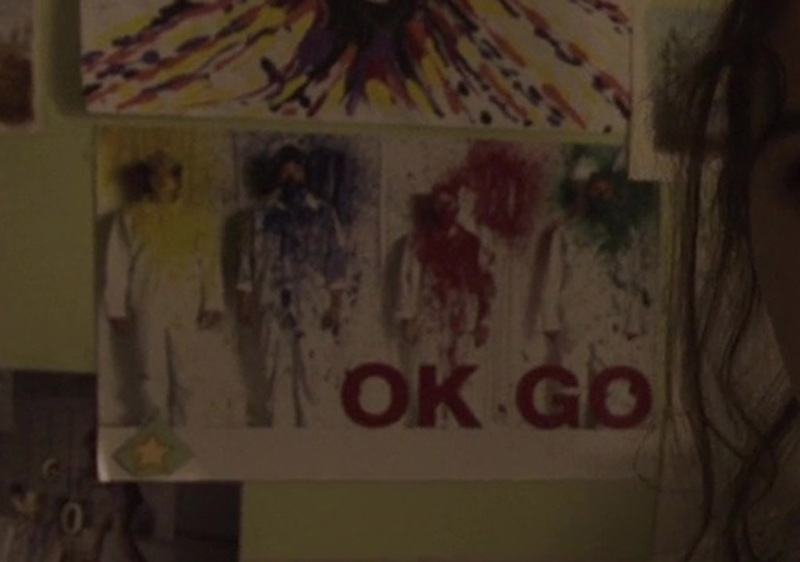 This is the scene found as a poster in Clare’s room. 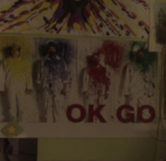 The poster itself appears to be custom made by the studios art department, as no posters with the unique lettering in-front of the band can be found anywhere online for purchase.